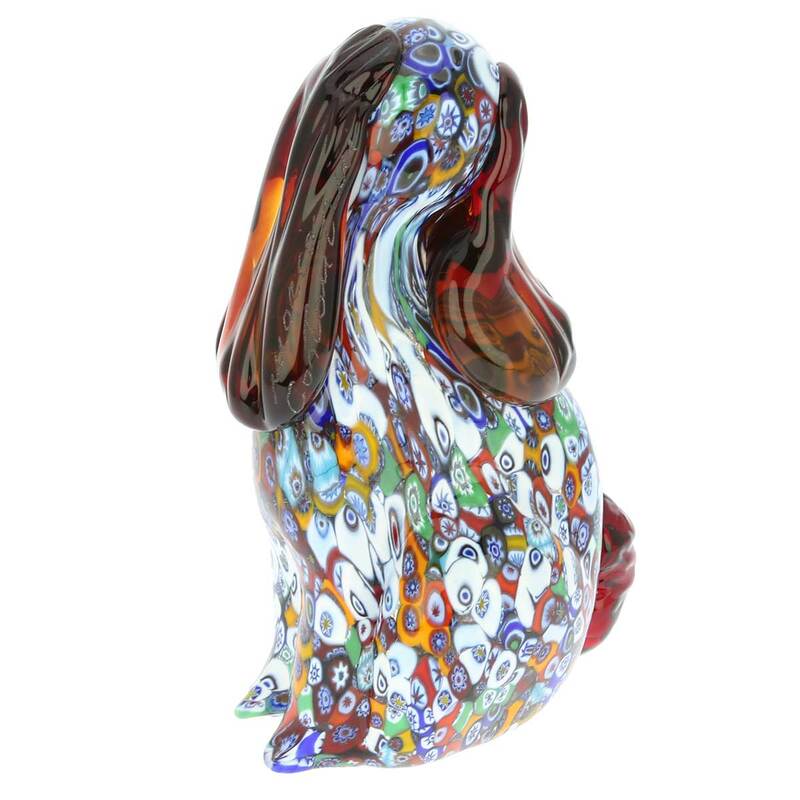 From the hands of a master glassmaker in Italy to the shelves of your business or home, this striking Murano glass sculpture embodies the artistic traditions of Venice with authenticity and finesse. 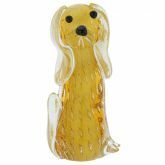 Whether you are a fan of furry, four-legged companions or an avid collector of elegant figurines, a Murano glass dog is the perfect accent for your living room, bedroom or office and it will look great under both natural and artificial light. 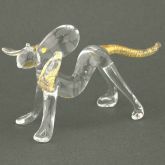 You can even set the sculpture securely on a windowsill, book shelf or desk. 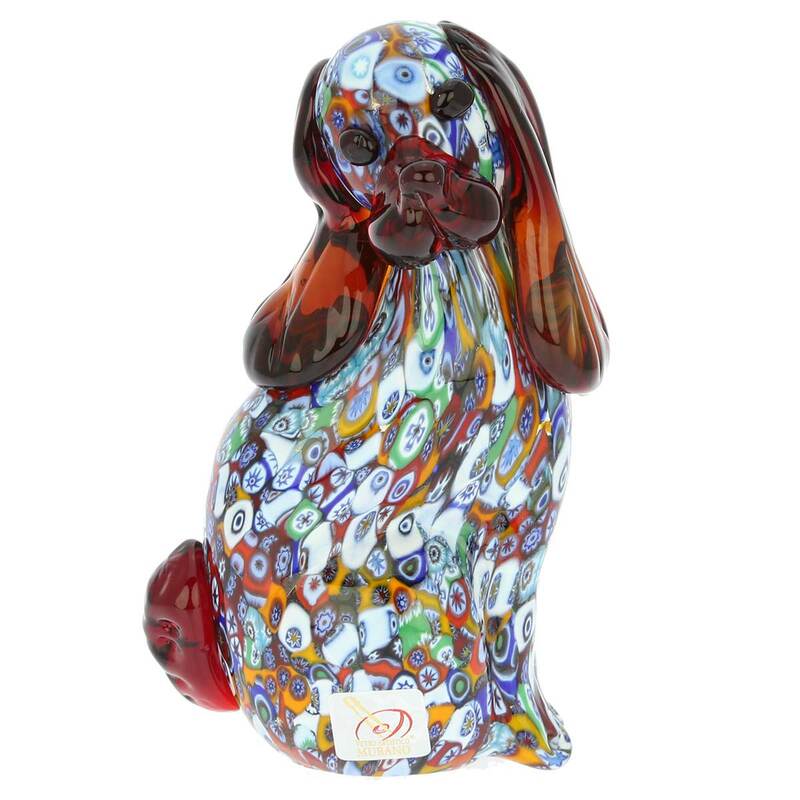 In addition, Murano glass animals are unique, handmade pieces that combine the delicate beauty of Venetian glass with the distinct, stylized pattern associated with the Millefiori technique. 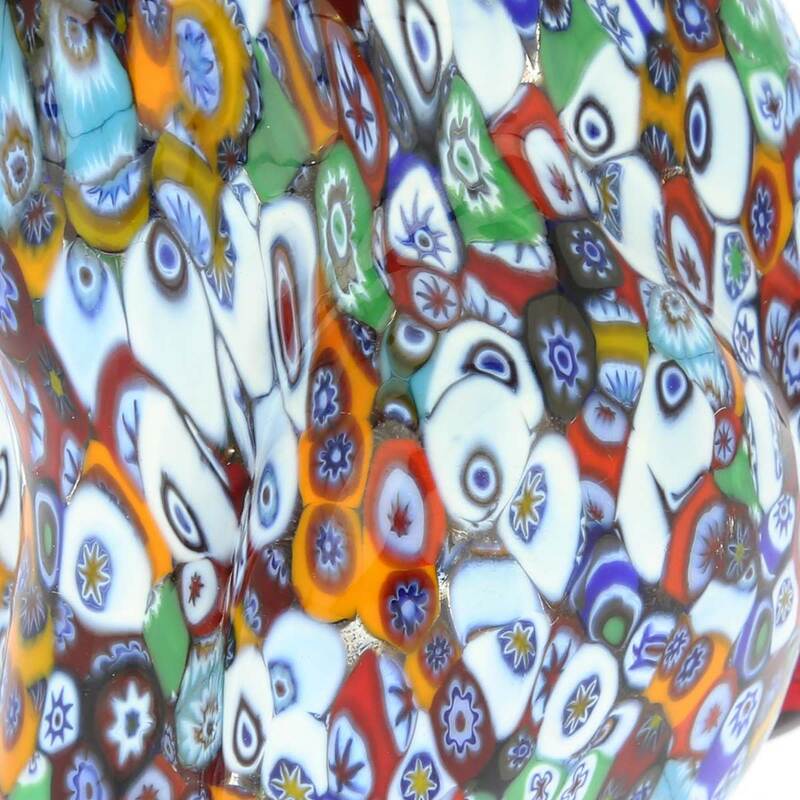 As a result, there is some variation in size, pattern and color. 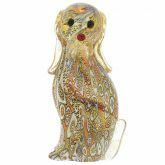 To offset the luxurious floral design, the facial features and tail are molded in vivid red glass. This results in fluid gold and amber tones that complement the bright colors used throughout the body. If you are looking for a touch of opulence and personality, add this one-of-a-kind sculpture to the mantle of your fireplace. 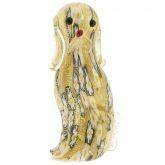 However, it would also make a great present for an anniversary, housewarming party or gift exchange. 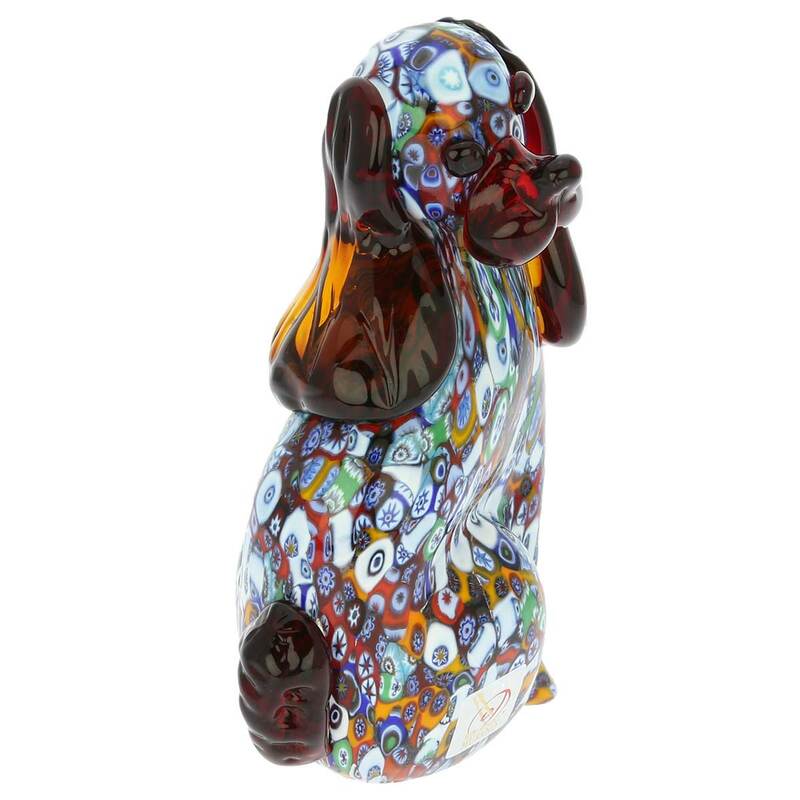 For those who appreciate fine, handmade art and thoughtfully appointed decorations, a Murano glass dog is the epitome of grace and beauty. Beautiful piece of Art!! The dogs face is so perfect! Just love it! Beautiful piece. Bought this for a gift but now debating whether to keep it for myself. This was my first time buying from Glass of Venice and i couldn't be happier with my purchase. Arrived just as described, shipping was fast and right on time. Will be purchasing from them in the future. The doggie has long ears like our doggie. My wife was thrilled with a pair of dog and cat sculptures. 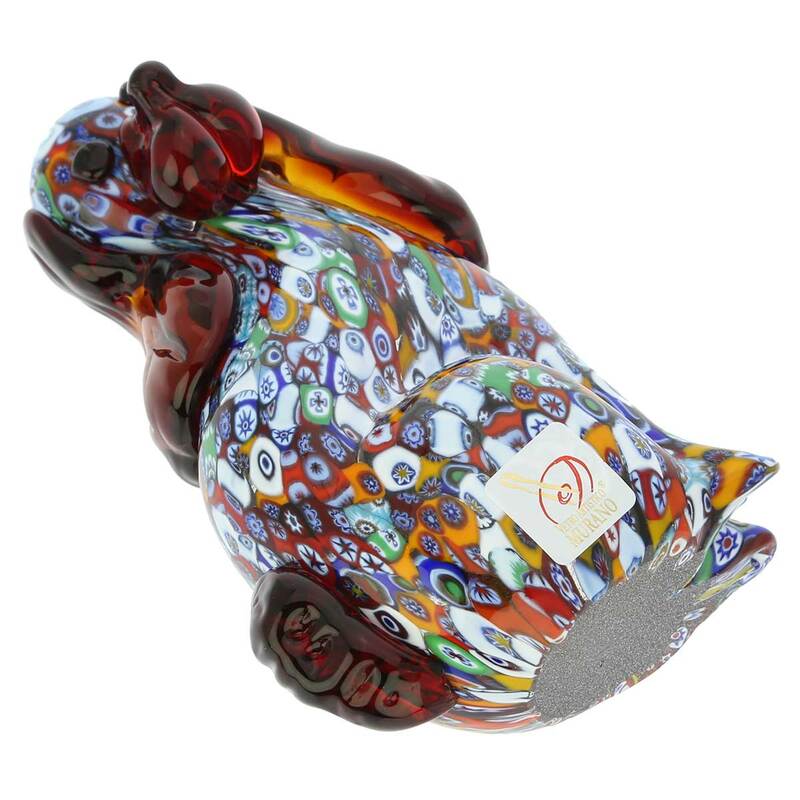 We have some other Millefiore items from our trip to Murano island, Venice, so things matched well. Pretty red glass for Valentine's day.